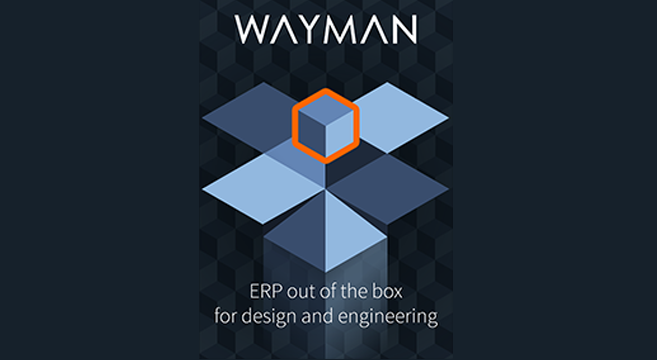 The Innovation Nest fund has invested in the Wayman company, which aims to take the global ERP software market for engineering and design firms. The competition is insubstantial, and their system has already proven itself, among other occasions, while managing the raising of the Costa Concordia wreck. Wayman software makes managing a design and engineering companies easier, while increasing their effectiveness. In 2015 founders of the company took part in the Growth! program, conducted by Innovation Nest – a Polish venture capital fund that supports the international development of startups. Recently, the fund has invested 2 000 000 PLN (464 000 EUR) in the Wayman company. The funds are to be used for the development of sales and marketing departments, customer service, and the strengthening of the technology department, allowing them to meet the needs of international customers. – Wayman meets all the criteria we look for while searching for promising companies. They have discovered a very promising niche, develop a business software that satisfies a substantial need, and its founders have the ambition to take a large, global market. – explains Marek Kapturkiewicz, partner at Innovation Nest fund. The Wayman system improves the effectiveness of design and engineering companies thanks to a combination of three areas of management – project, resource and finance. Additionally it gathers data from multiple sources (i.e. e-mail, CAD, BIM, documents) and allows access in any place and at any time. Thanks to its custom design which fits into the specifics of the design and engineering industries, it can be set up much faster than a universal ERP system. – The design process is often accompanied by information chaos, as all involved make changes to the project. In effect we are faced with a diffusion of responsibility for delays, quality drops and exceeding of budget. Eliminating these problems lies in the interest of both the customer and the design company. – explains Piotr Bilon, co-founder of Wayman. As most good products, Wayman system was born of need. Both founders worked in large design companies – Marcin Konstantynowicz as a programmer, and Piotr Bilon as a managing director. They shared the opinion, that the industry needs a system that would improve management. In the meantime Marcin has created a software that perfectly answered the needs of designers. At first they developed it in Piotra Bilon’s company – NED-Project, specializing in ship design. In 2011, now under the Wayman name, they sold the system to the first clients. In 2013 NED-Project has been tasked with planing the raising of the Costa Concordia wreck. The management of this massive project has been made significantly easier by the Wayman system. In the following years, the company has expanded its client list to include leading Polish companies such as Budimex, Remontowa Marine Design & Consulting, MP Mosty, MWM Architekci, and ULMA. Wanting to accelerate their growth, by the end of 2015 the founders decided on taking part in the Growth! program. Currently, the company notes a steady, 20 percent increase in monthly sales. On October 13, Piotr Bilon has released a book titled, „Efektywne zarządzanie firmą projektową” (Effective Management of a Design Company). In it he advises on how to improve management using ERP systems, based on his and other design companies managers’ experiences.